This is a story I stumbled upon a very long time ago, but still rather amusing, as it pertains to the discovery of one of the BADDEST American racing cars ever produced! 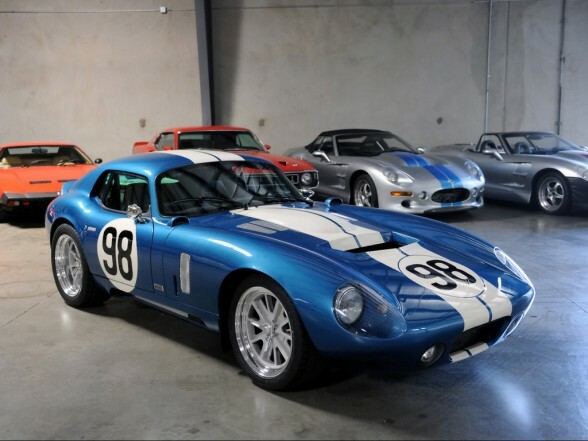 In case you haven't heard, the missing Daytona Coupe was recently discovered in Southern California. As far as Shelby cars and history, this is unquestionably the most significant discovery ever. The car appears to be completely intact and untouched for over 20 years! This Coupe (CSX2287) was the prototype car and the only Coupe constructed in the USA. The other 5 Coupes were shipped to Italy where the bodies were built by hand and installed on modified 289 roadster chassis. CSX2287 was raced many times in Europe as a Shelby team car during the 1964 and 1965 seasons. In its final competition appearance it set several land speed records at Bonneville Salt Flats with Craig Breedlove behind the wheel. After changing hands a few times, CSX2287 landed in the custody of a reclusive woman in the mid-1970's. At that point the woman and the Coupe vanished and became the object of many futile searches by Shelby fanatics......until now.